Archive for Ouran Host Club. Not actually Haruhi. Not that Haruhi either. 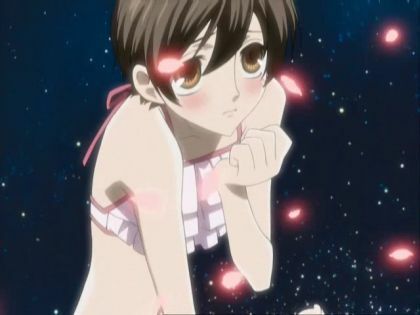 I've been meaning to mention for more than two years that Ouran Host Club is a pretty good series, although one that could not have worked without Maaya Sakamoto in the lead role. Despite the delay, I still managed to post this (admittedly lackluster) Ouran Host Club entry ahead of Maaya Sakamoto fanboy Zyl. How hontou ni sou omou? doesn't have an Ouran Host Club category, I have no idea. Actually Renge. But not that Renge. 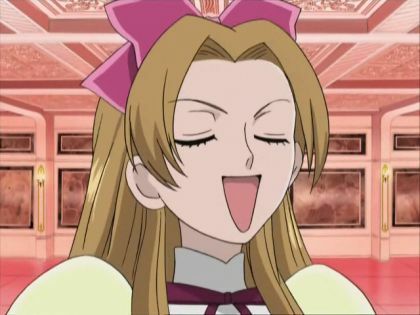 In other news, Renge is the Best Girl in Ouran Host Club. By far. And I'm not just saying that because the rest of the cast is predominantly male.